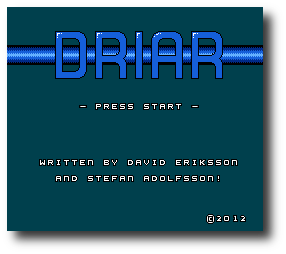 Driar is a platform-game for the Nintendo Entertainment System/Famicom written by Stefan Adolfsson and David Eriksson. Rickard Nilsson helped out in early development. 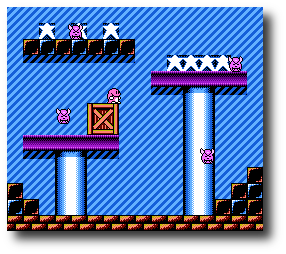 The game is designed for PAL (50Hz) systems, but works well on NTSC (60Hz) systems aswell. 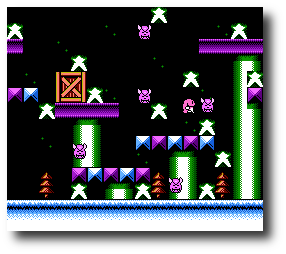 The game and music will however play a bit faster on a NTSC system. left side) - remember this and use this to your advantage. There are 38 levels in total.